Nary a day goes by that this book isn’t flipped through and its beautiful images studied. It was an inspired birthday present from my parents for my children and it sits on our coffee table for regular browsing. And believe me, it gets plenty of attention – unprompted by me. Without a doubt, a favorite book of my littles and probably one they will remember fondly, even as adults. Here are some other reference books we have on hand that I hope will be regularly flipped through during our cycle one study. I noticed that some of these books were not readily available for purchase online. Since I was searching for deals, I found many of these titles at used book sales. 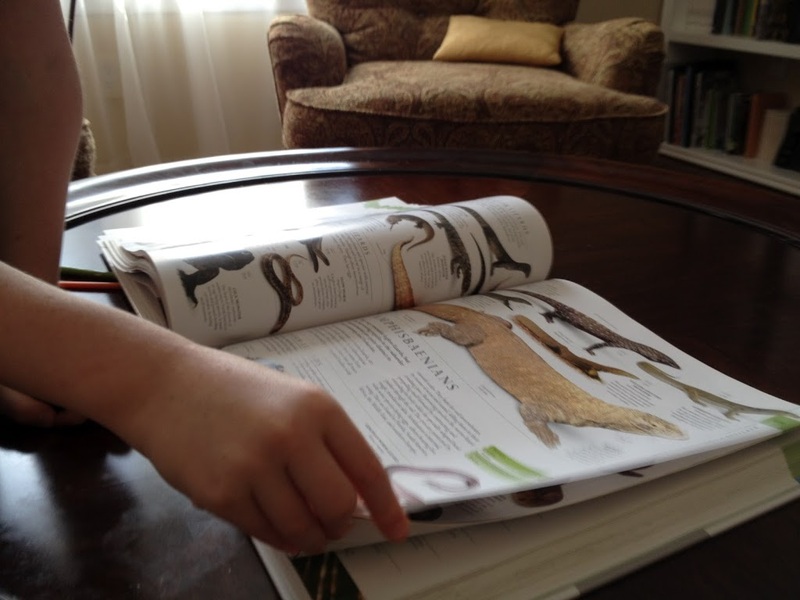 Have you found any reference books that you think might mesmerize your children as you study this year? Any that you would consider investment pieces that will be used year after year? If so, please share! I can add those titles to the next birthday list – maybe my own! Our favorite is “Birdsongs of North America”. Our kids love that one and look at it all the time, but unfortunately it is not in print any more. Amazingly, Christian was able to find out copy at the thrift shop for a killer deal. Thank you for sharing your book list ideas on the August Blog Carnival! Thanks, Brandy! I look forward to checking out all the ideas shared on the blog carnival! I know this is an old post. I noticed that you used Kingfisher Encyclopedia when you went through Cycle 1. We are going through cycle 1 this year and i bought the Kingfisher Encyclopedia for Cycle 3. I wondered if you happened to have a match up somewhere that correlated Kingfisher with what we’re studying in Cycle 1? If you do, would you mind sharing? TIA!